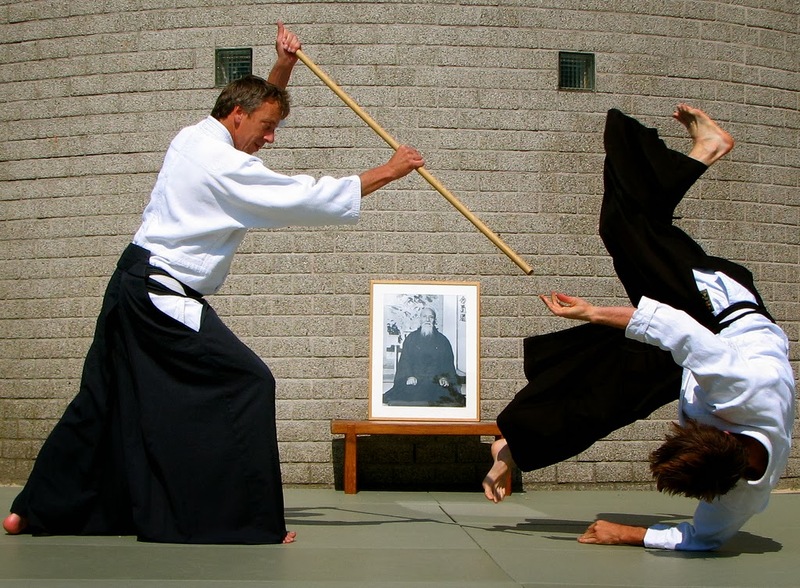 Over the past few years, maybe 10 or 15 years, I've heard several practitioners of various schools of koryu kenjutsu and jojutsu say that they just don't get the attraction of aiki-jo and aiki-ken - that there is just not that much martial skill involved in aiki weapons practices as compared to koryu. Some of this I can attribute to koryu snobbery. Nothing but the inside teaching is going to be good enough for some folk that fully buy into the propoganda about how they are the real guys with the real knowledge. Brand loyalty plays a large role in this - but brand loyalty gets old eventually. And some I can attribute to Ueshiba's lack of structure in passing down his weapon skills. His students, and to a far larger extent, their students have a very un-even skill set ranging from great skill to cut-your-own-arm-off incompetence. And some of this I can attribute to a difference in goals. The SMR guys (for instance) are not trying to use the jo to get at takemusu aiki, so it makes sense that aiki-jo may differ from SMR jo because they are aiming at different endpoints. But the snobbery of some (certainly not all) koryu guys and the resentment it engenders in some (again, not all) aiki guys is tiresome. I like practicing with and learning from both groups and my personal practice has benefited from allowing myself to be influenced by each group, but I've gotten to the point that I don't especially want to be included in either group. Perhaps both communities could benefit from each looking at the other with new eyes and fresh hearts.